These days, energy efficiency is an important consideration in almost everything we buy. From appliances and cars to, yes, our homes, energy ratings matter. With buildings consuming 40% of the world’s energy, you can imagine how important energy efficient methods are when building a home, an addition, an office building, or an accessory dwelling unit. This is why the insulation in your walls is so important. It’s also why Insulspan® SIPs are so popular. Insulspan SIPs provide an excellent energy efficient, time-saving solution for commercial and residential buildings alike. And, that energy saved converts to dollars saved. Insulspan SIPs have many benefits to offer builders and homeowners. SIP is short for Structural Insulated Panel, a “sandwich” made with two pieces of performance-rated oriented strand board (OSB) structurally laminated to a continuous core of expanded polystyrene (EPS) insulation. SIPs have a number of benefits for builders and homeowners alike. Let’s take a look at three of them. Because we manufacture our SIPs based on the exact specifications of your building, efficiencies improve across the board. Insulspan prepares detailed SIP drawings for every project we work on. These plans are used by us during manufacturing and during installation. The detailed SIP drawings for your home or building are loaded into our CNC factory equipment so we can manufacture the panels to exact specifications. This ensures the panels meet specified tight tolerances. Our team does everything in the design process, (and throughout the factory setting), with a constant focus on one thing: saving you time and money during your installation process. Once manufacturing is complete, the SIPs and the detailed SIP drawings are delivered to your job site. During the manufacturing process, we make cuts for the wire chases, making the home’s electrical a breeze. We also cut the window and door openings into the panels, saving you more time in the field. 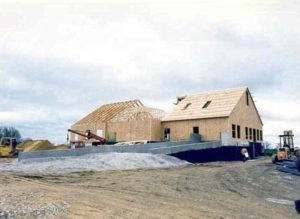 Because Insulspan SIPs allow you to build and insulate your building in only one step, you receive the benefit of increased construction speed. Insulspan SIPs arrive at the construction site ready-to-assemble (RTA). Yes, that means exactly what you think. The panels arrive with all door and window openings pre-cut. A package of all the essential materials needed to immediately start building accompanies your panels. The package includes the lumber, much of it already installed. By making sure we deliver everything you need in one complete package, you can feel confident about your project’s build-time. 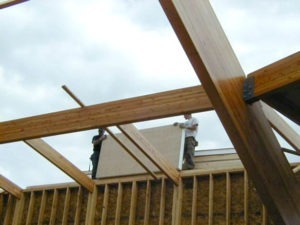 After receiving the complete, ready-to-assemble package for your walls, roof, or floor deck, you can use the provided detailed SIP drawings to see all connection and lumber detailing. And, of course, your walls arrive at the job site with all splines, corners, and window and door bucking installed to make installation faster and more accurate. The higher R-value of SIPs compared to regular fiberglass insulation products, leads to less energy used. Here’s how. The R-value of a wall is a measure of its ability to keep heat from flowing through it. So, a higher R-value for walls means less heat loss from the interior and less gain from the exterior. Thus, no matter the season, less energy is needed for heating and cooling. Less energy used means less money spent. Because Insulspan SIPs have a closed cavity wall design, air movement is limited. As an added bonus, the continuous core of EPS insulation in an Insulspan SIP also allows better control of indoor air quality. By using our structural insulating panel systems, you have built an incredibly energy efficient building with higher quality air. Builders like SIPs because walls go up faster, meaning the building’s completion time is on-schedule or even ahead of schedule. Owners like SIPs because heating and cooling costs are lower. And every one likes SIPs because they create energy efficient buildings and homes.